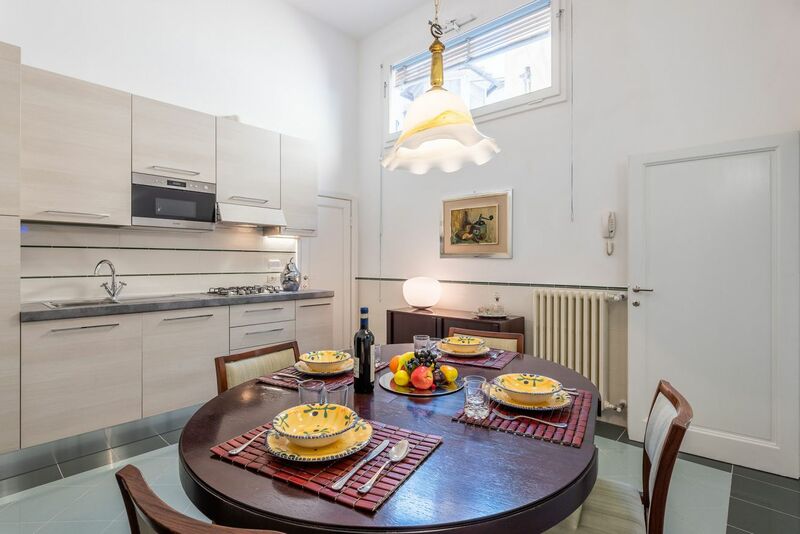 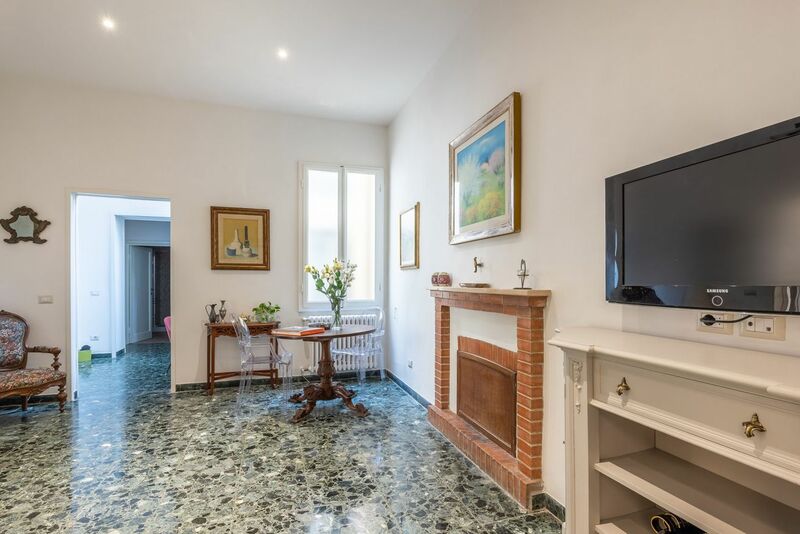 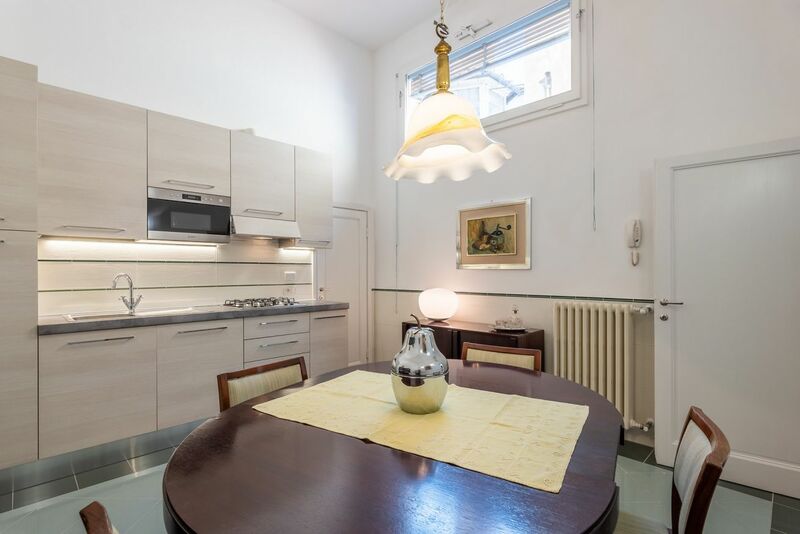 Casa Landini is a prestigious property in via Romana close to Piazza Pitti into the historic district of Santo Spirito in Florence. 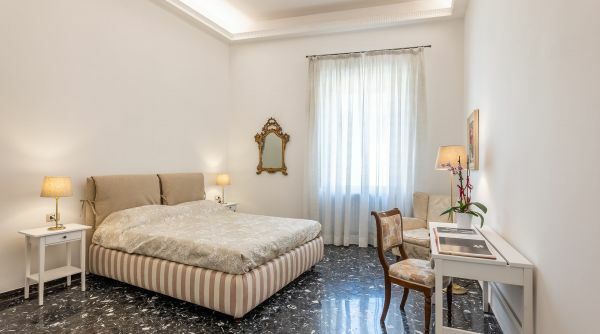 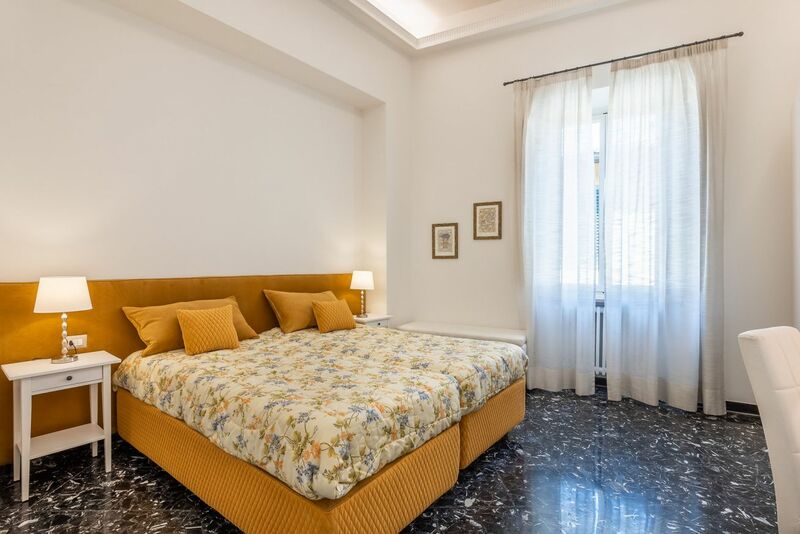 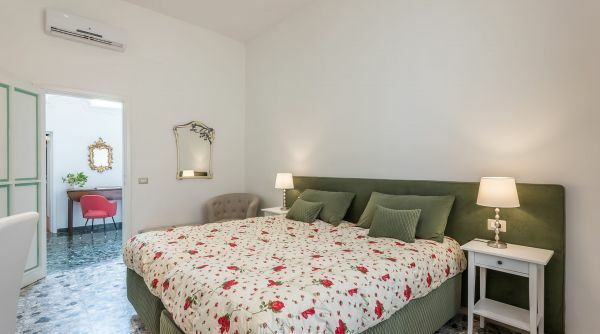 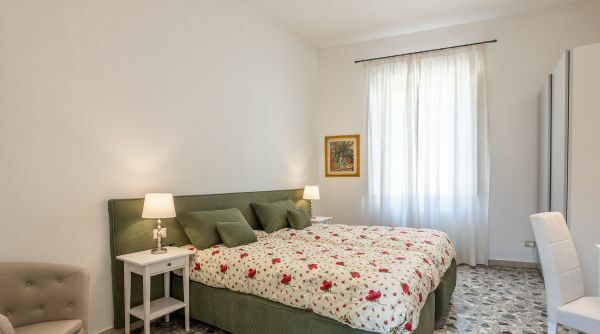 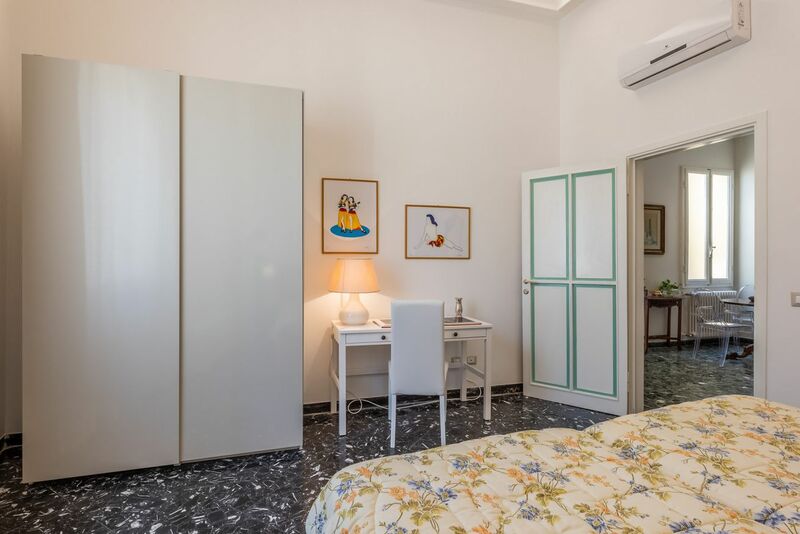 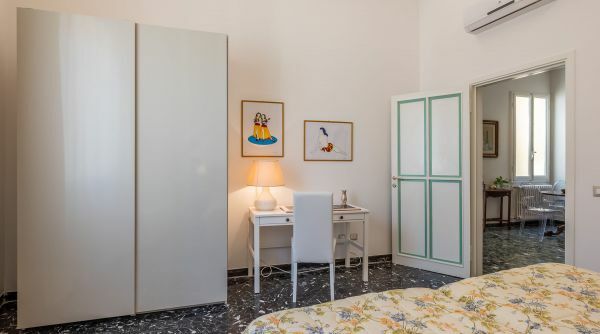 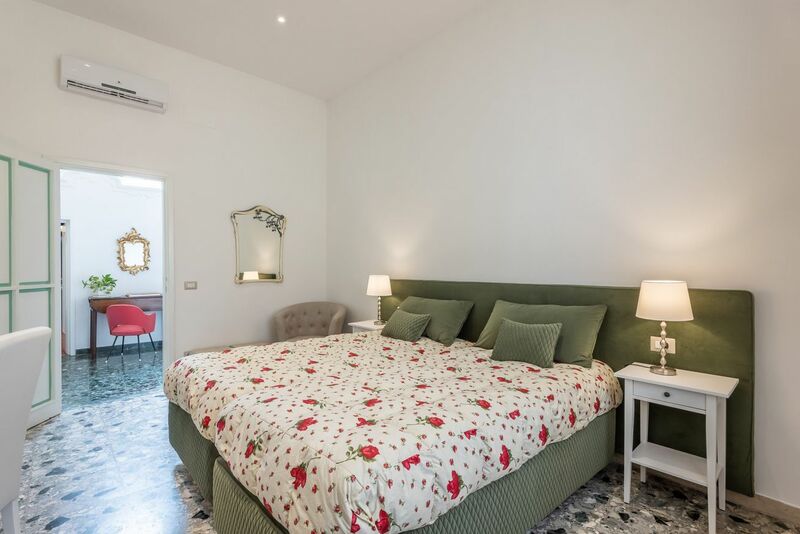 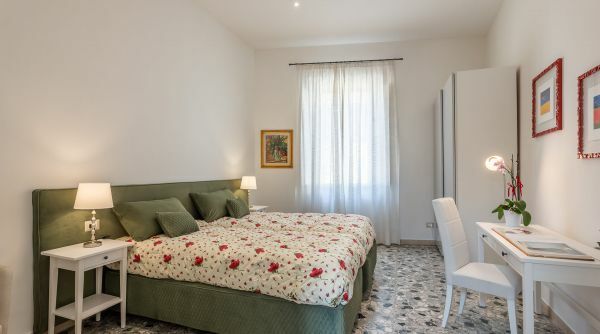 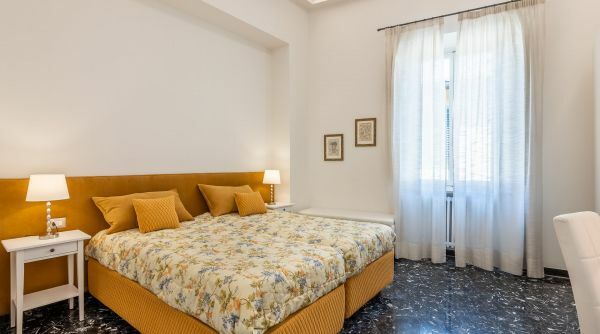 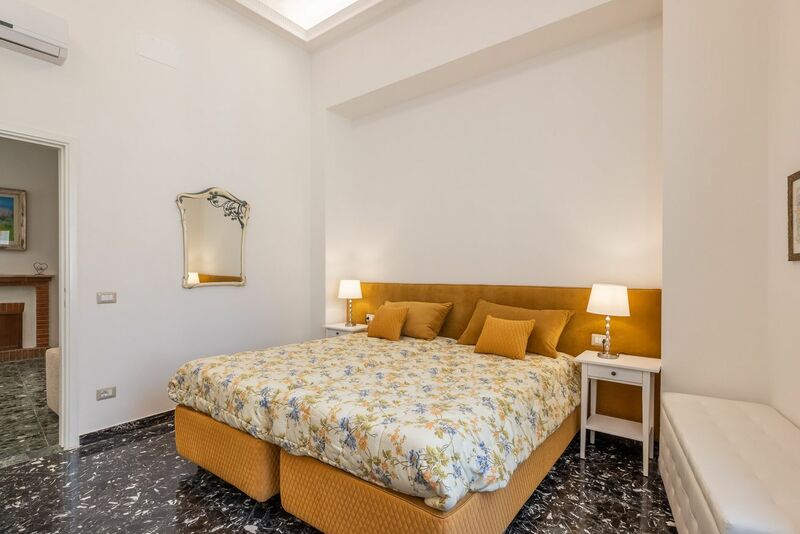 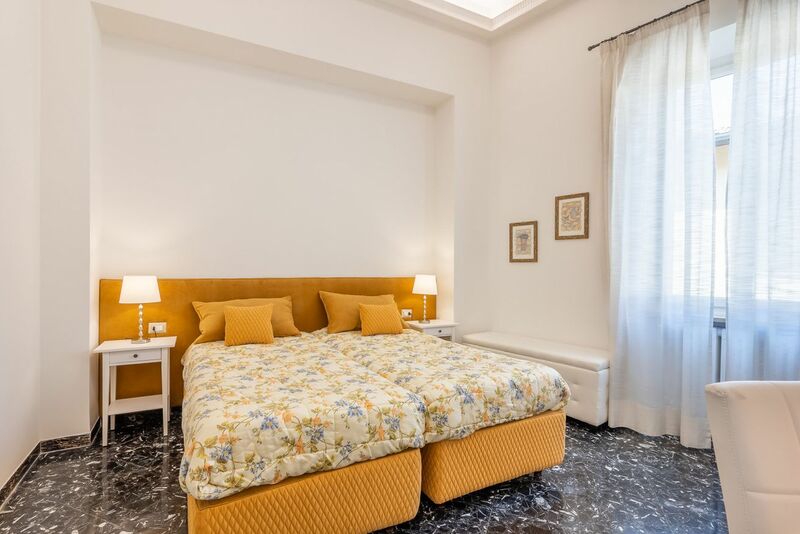 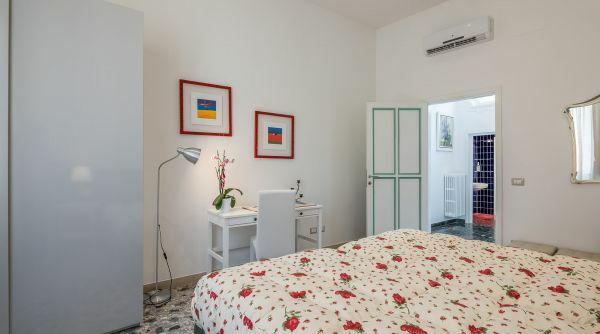 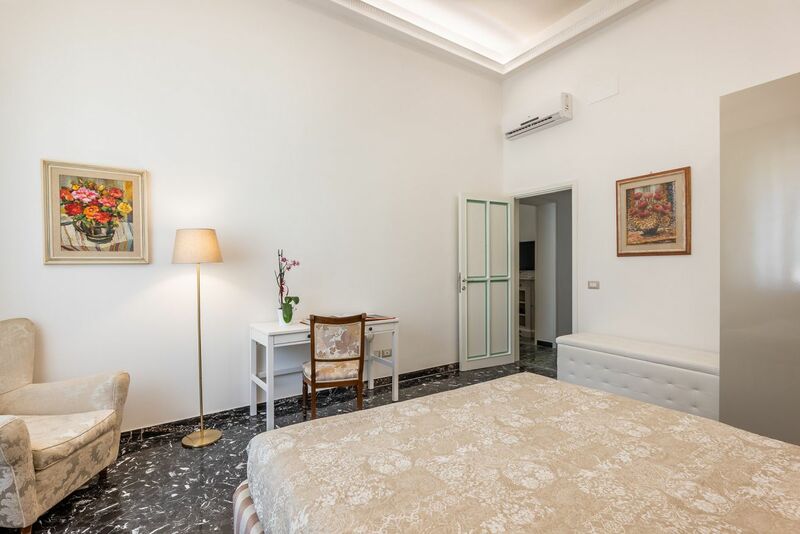 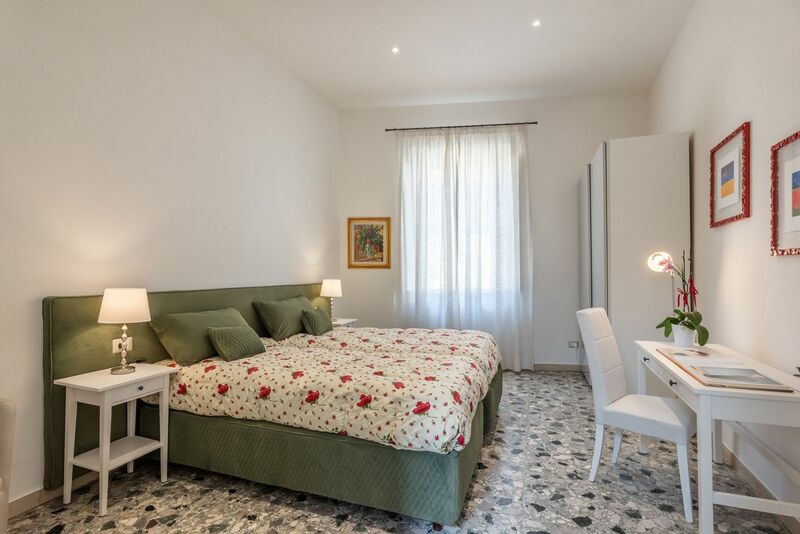 The apartment is very wide and consists of 4 double bedrooms, two with queen bed and two with single beds, so it can accommodate up to 8 guests. 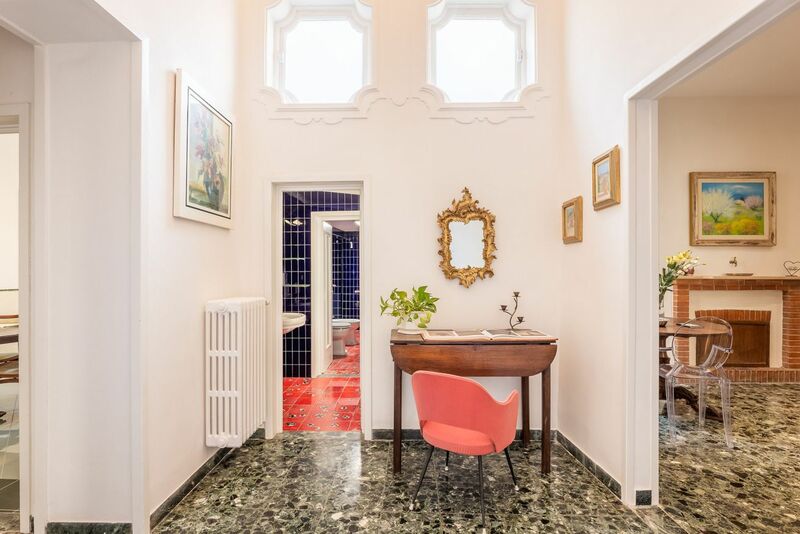 Wide common spaces, a big kitchen and 4 bathrooms (3 of those are full bathrooms), are the other spaces of this beautiful apartment. 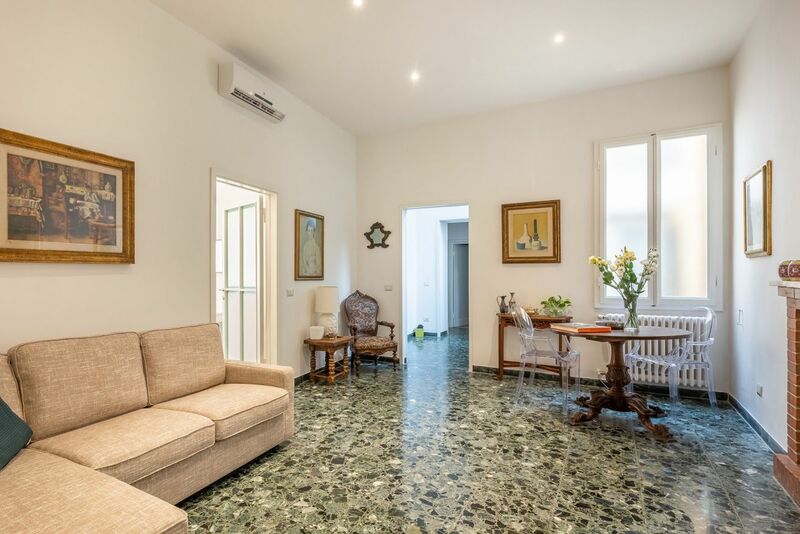 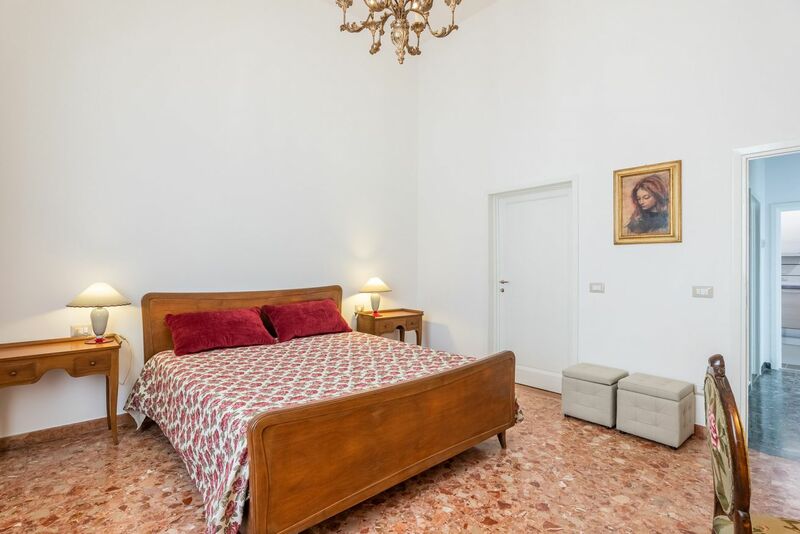 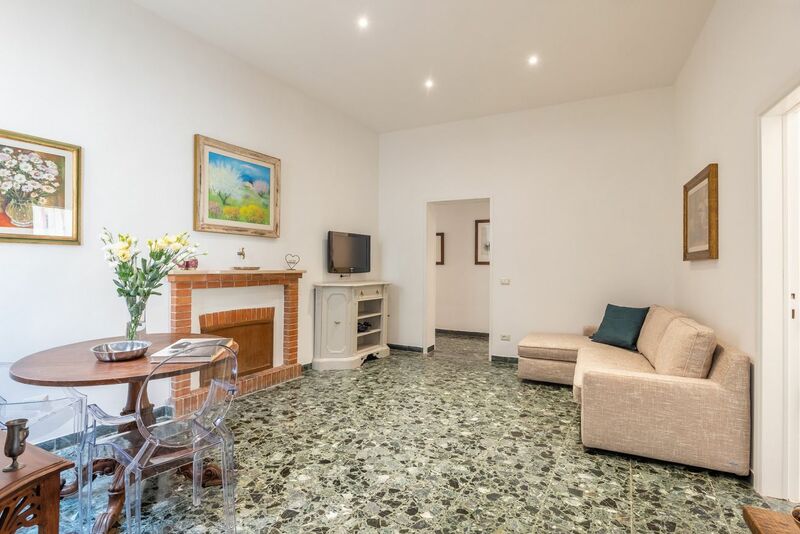 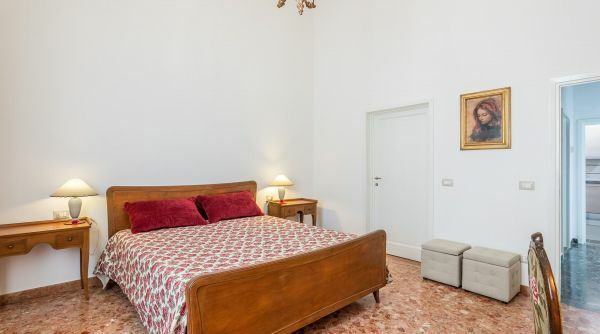 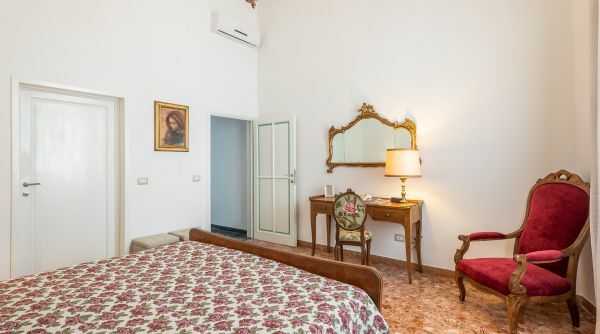 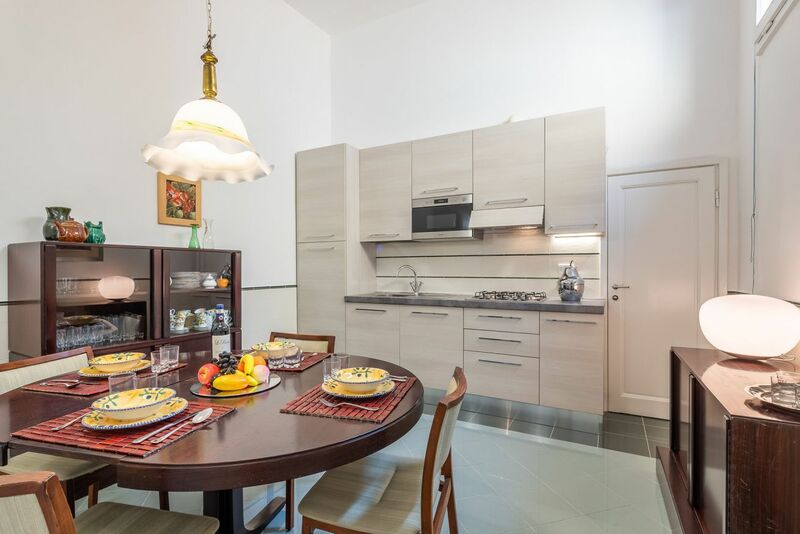 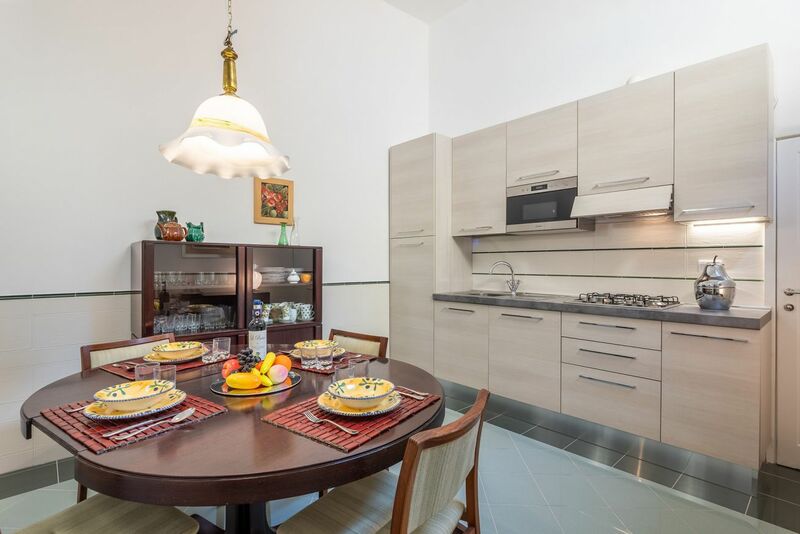 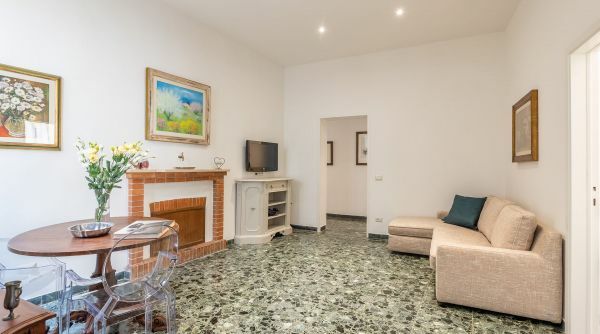 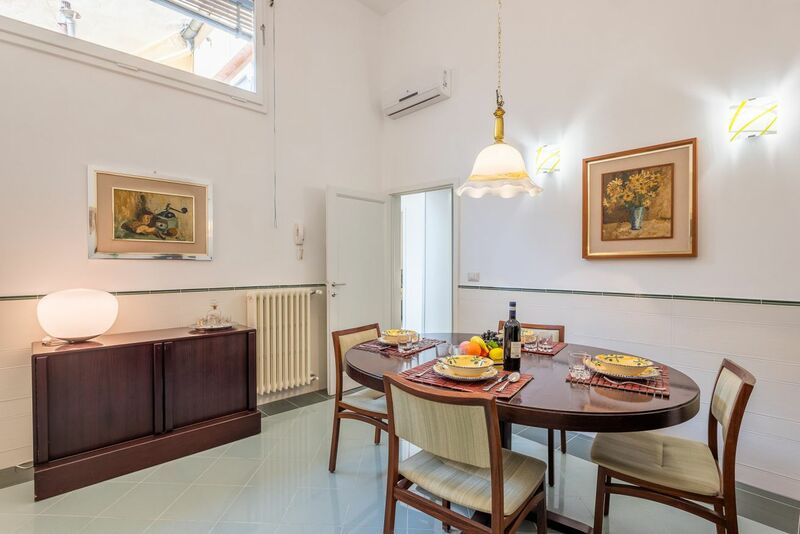 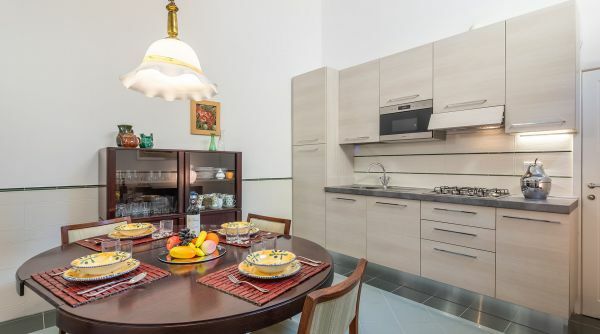 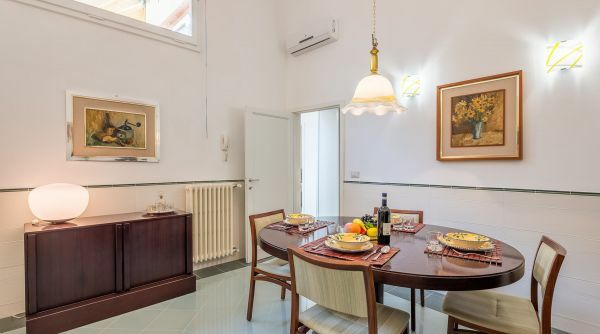 Casa Landini is the perfect location for a large group or a vey big family. 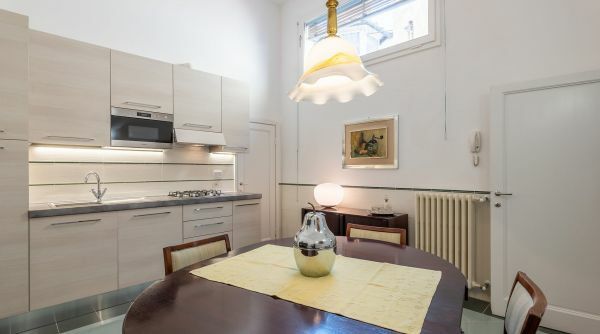 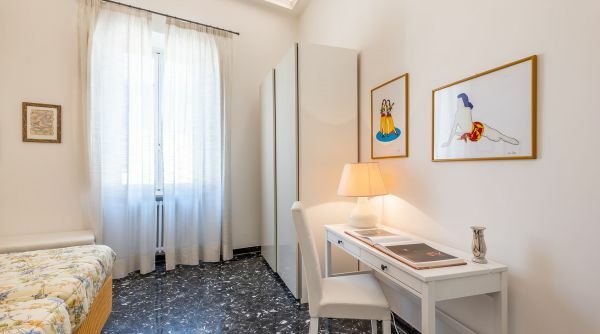 Fine furnishings that combine classic and modern elements enrich this Florentine apartment. 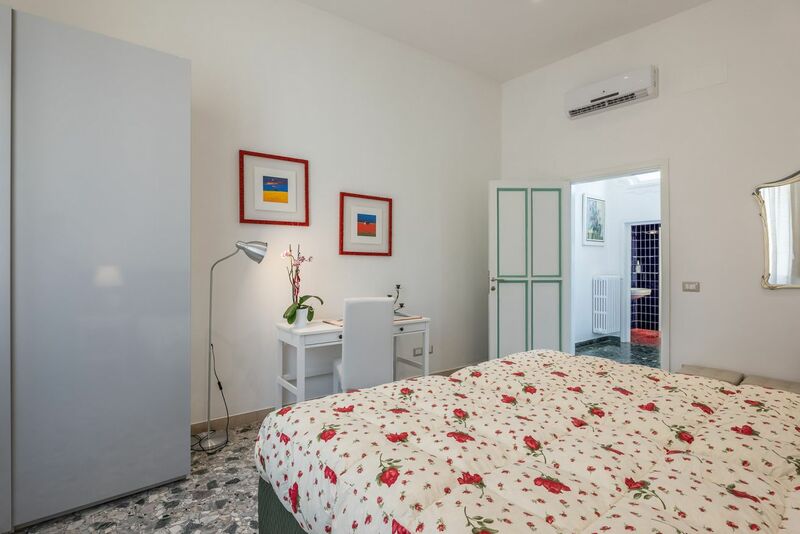 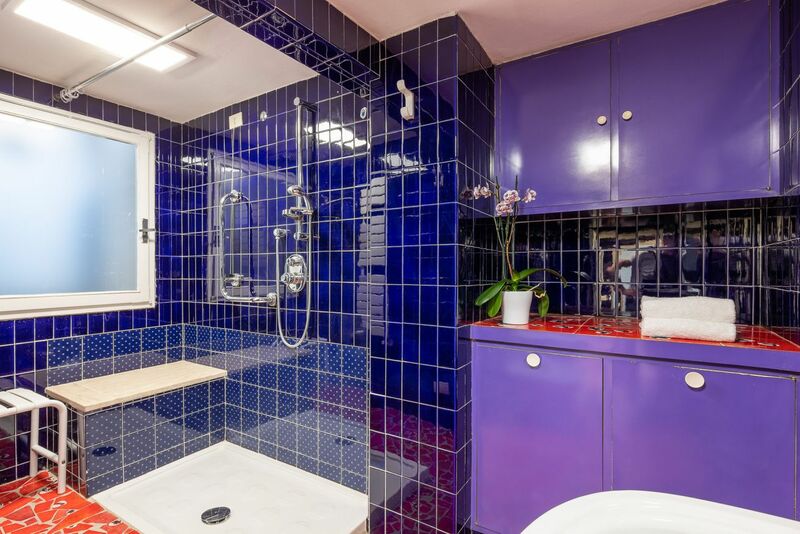 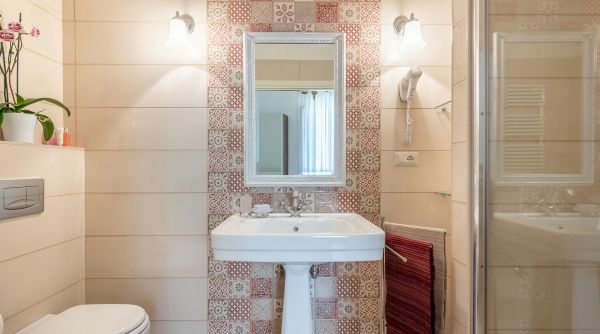 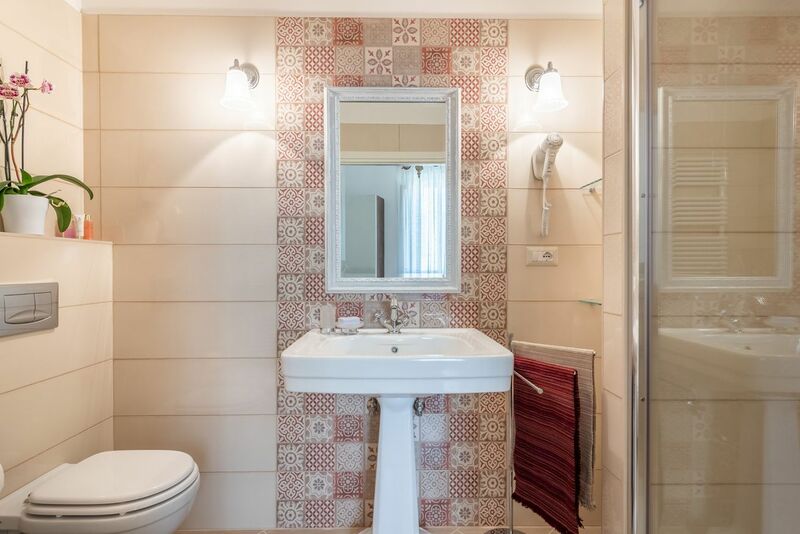 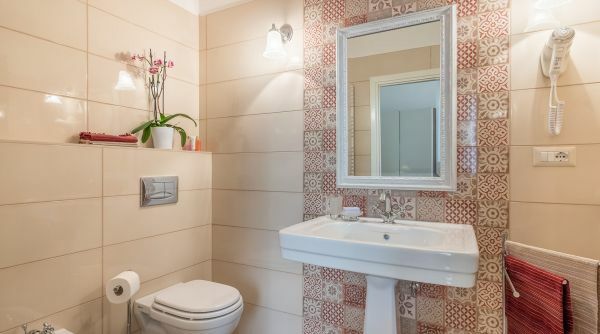 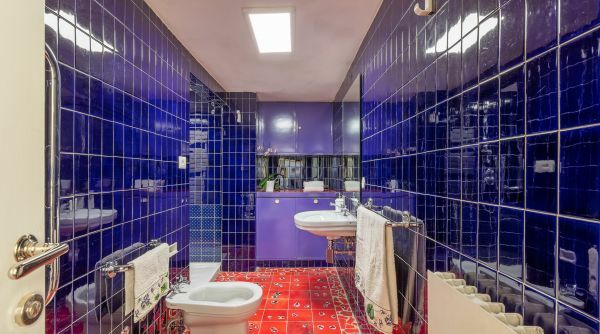 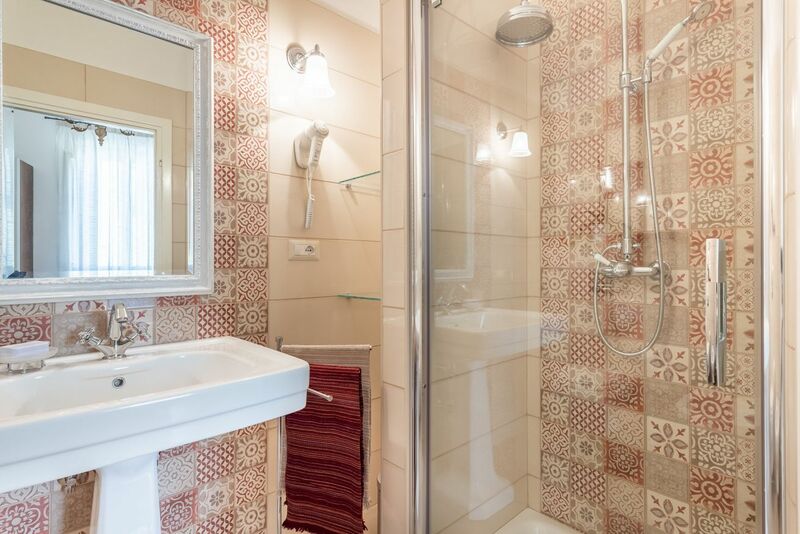 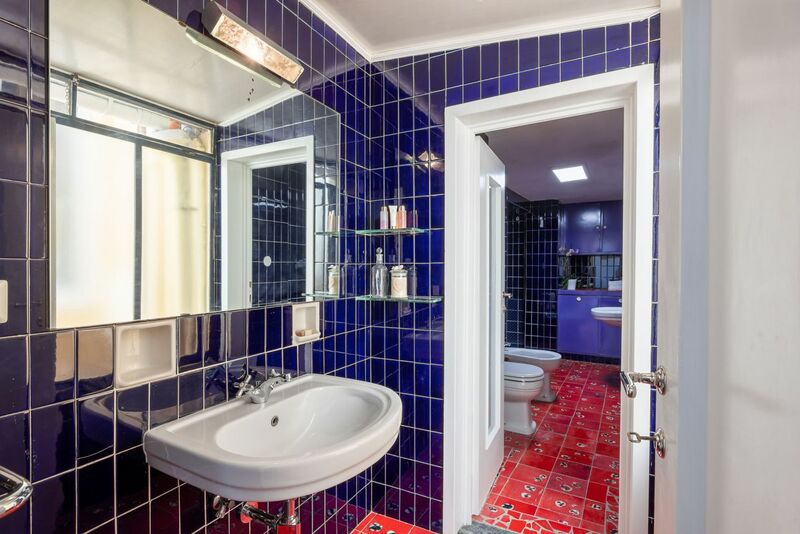 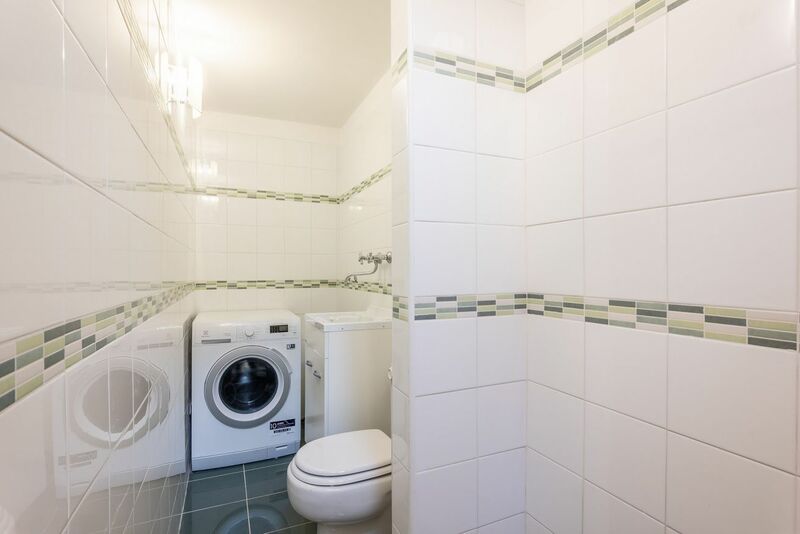 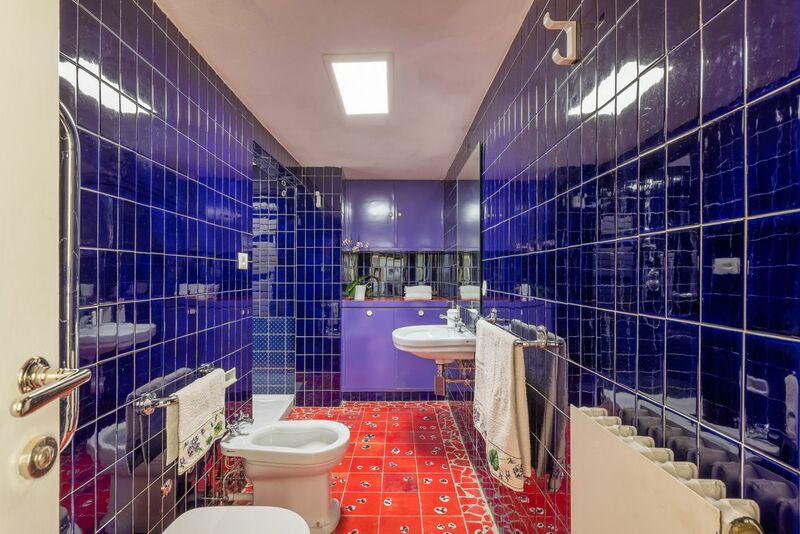 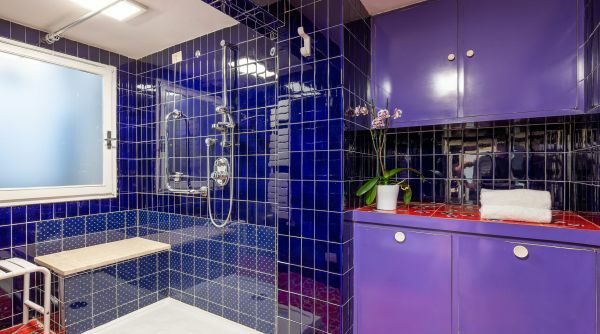 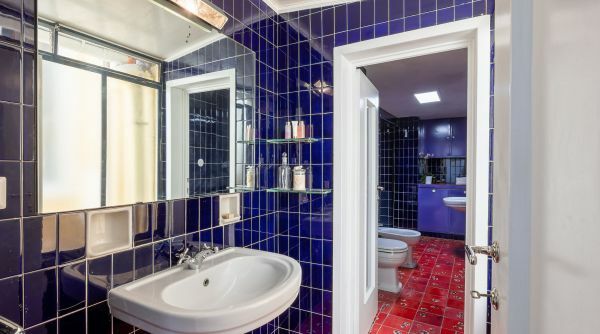 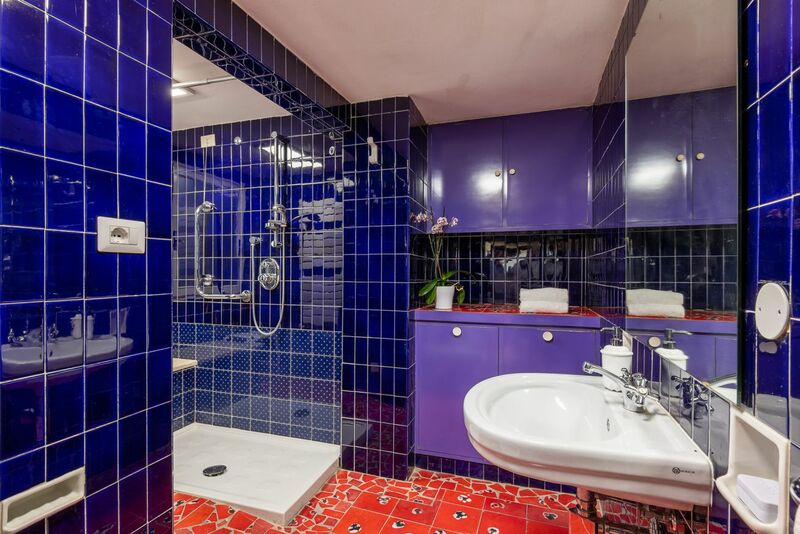 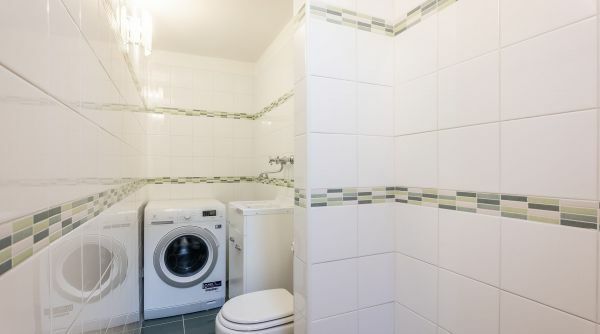 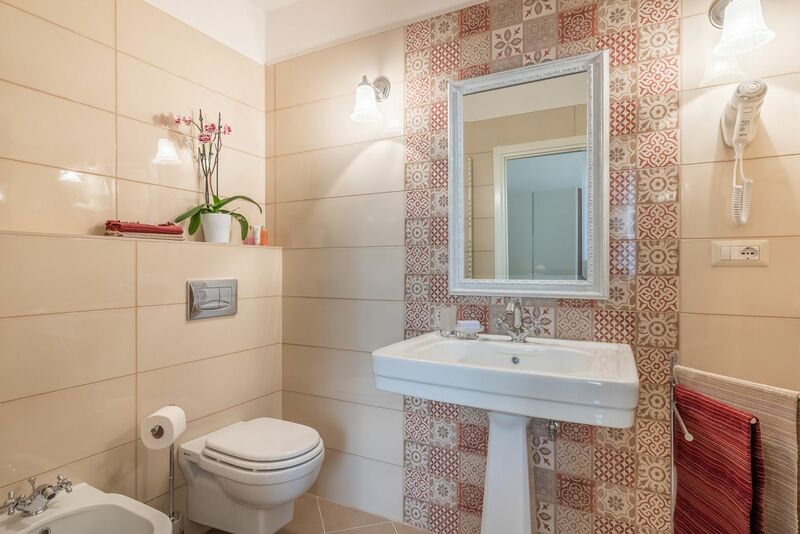 This house casa has many amenities and accessories, including air conditioning, Wi-Fi, washing machine, TV and linens. 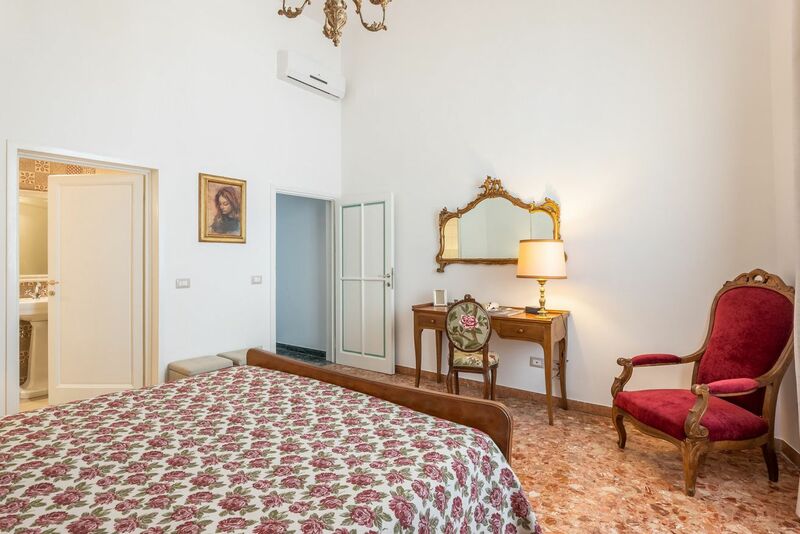 Casa Landini is in an excellent position to visit the doentown. 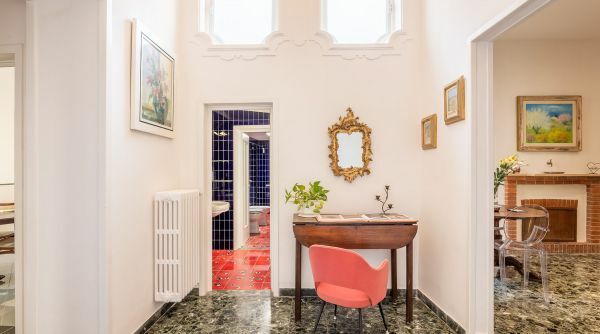 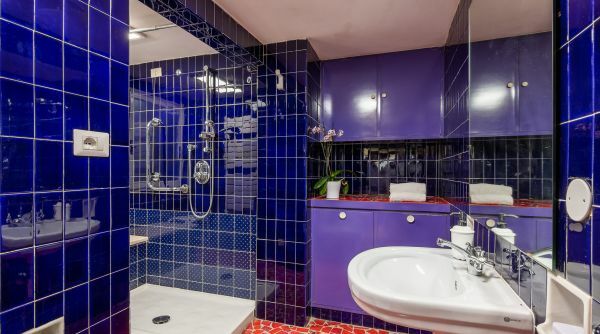 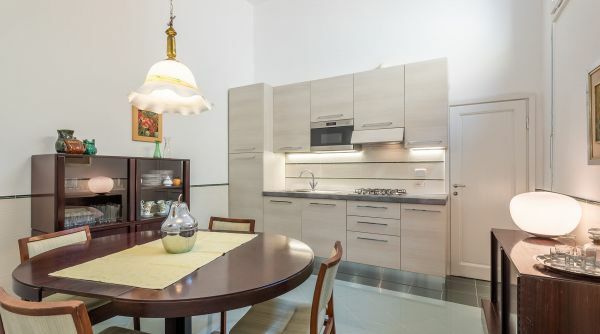 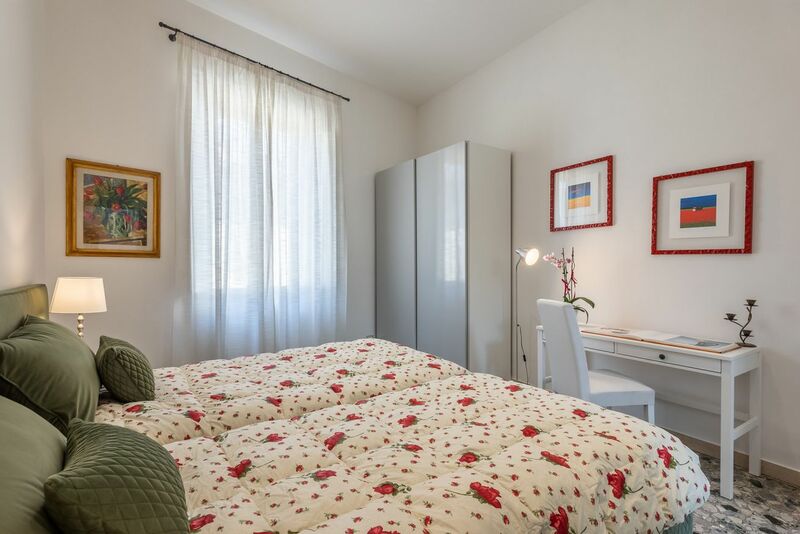 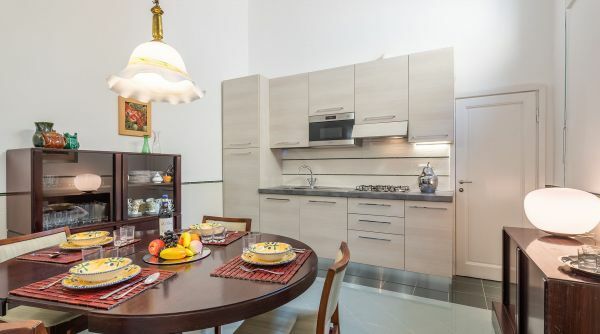 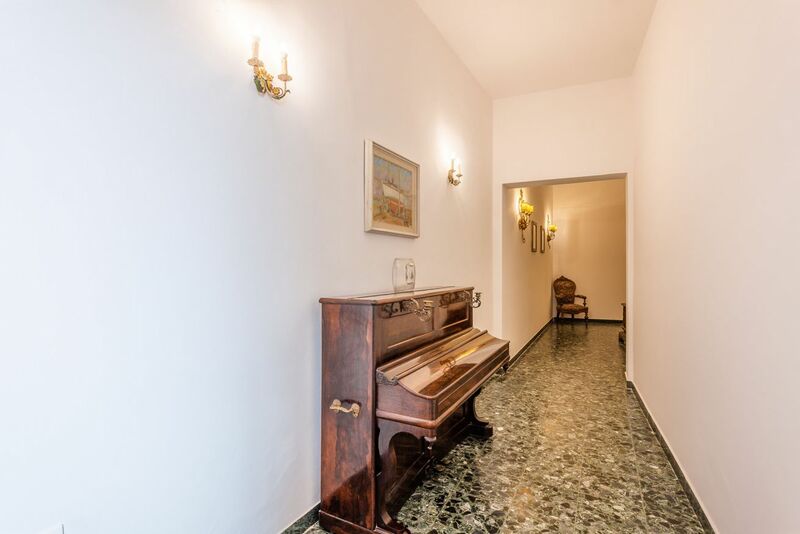 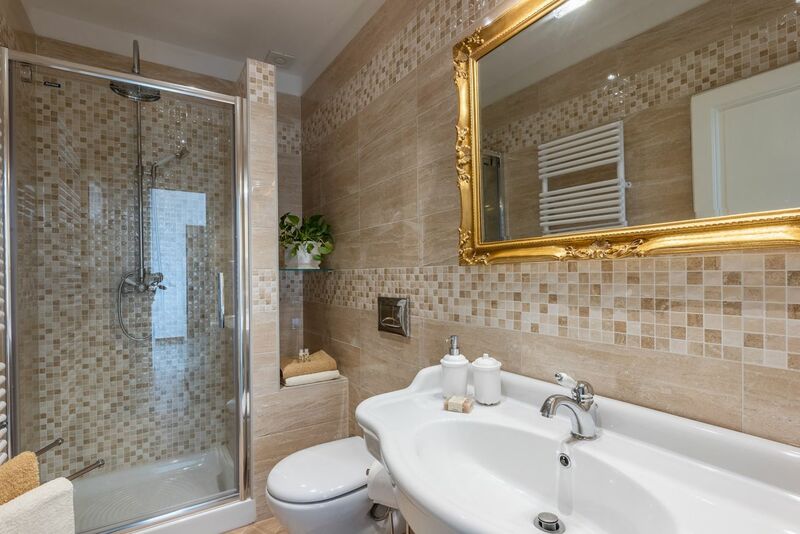 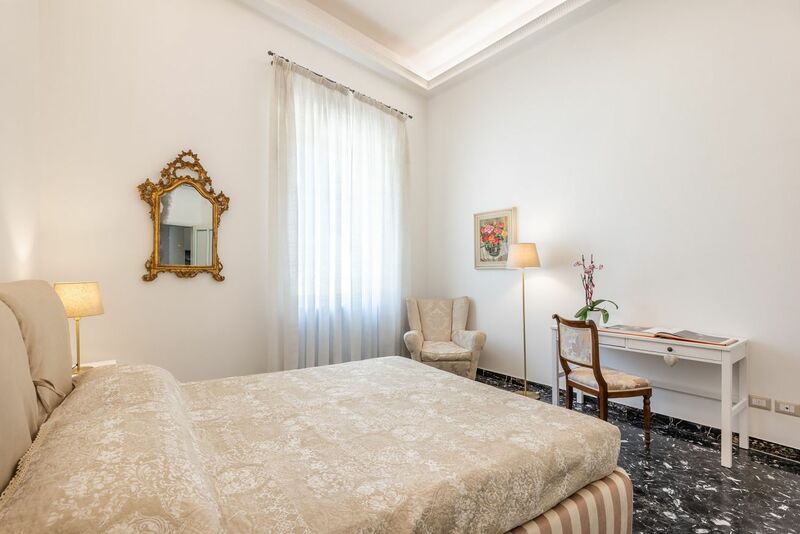 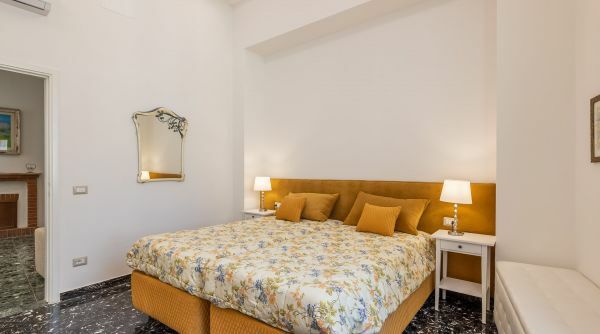 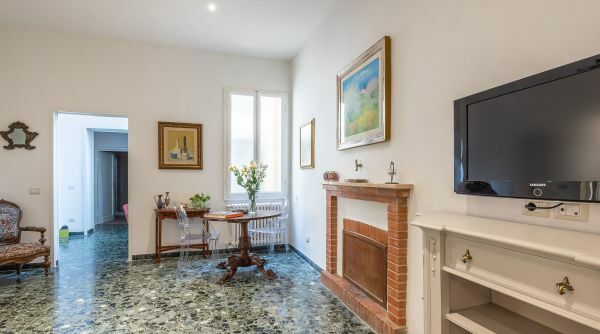 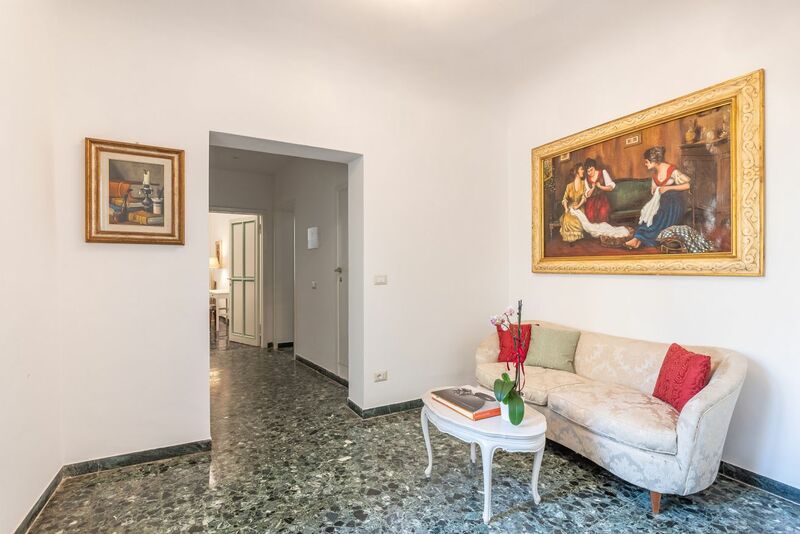 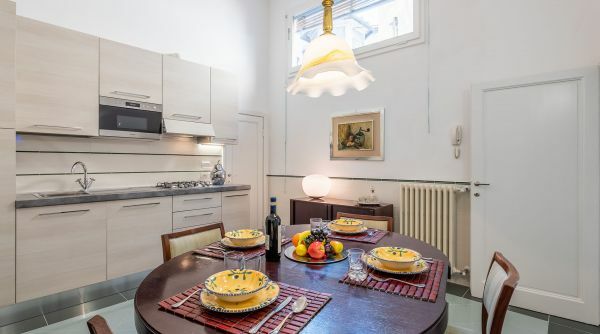 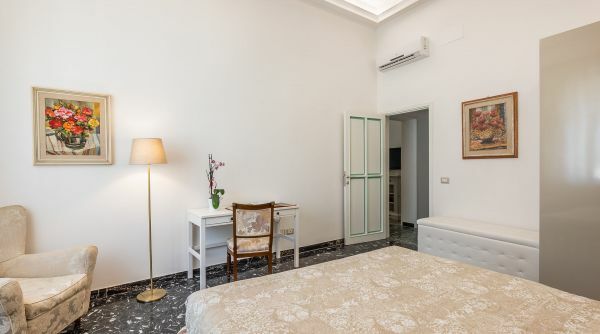 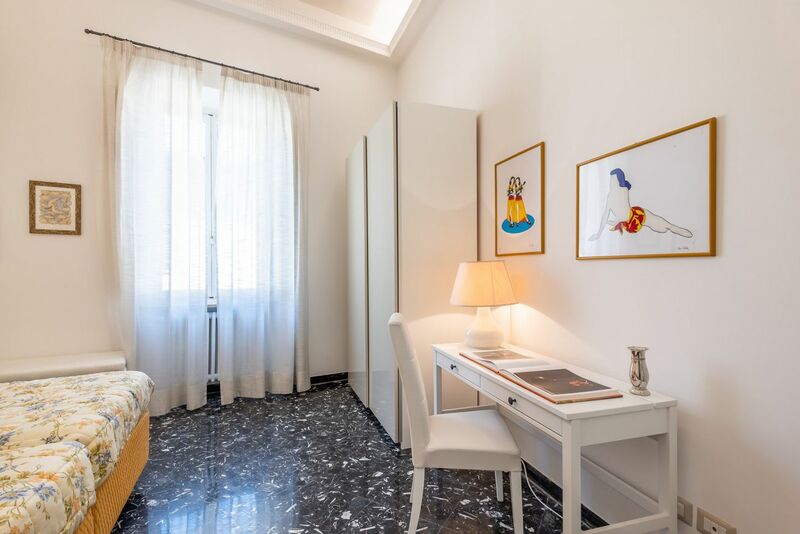 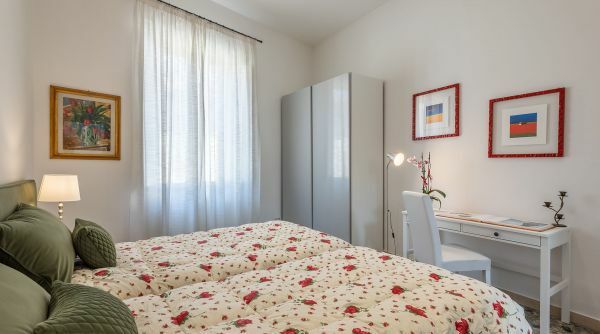 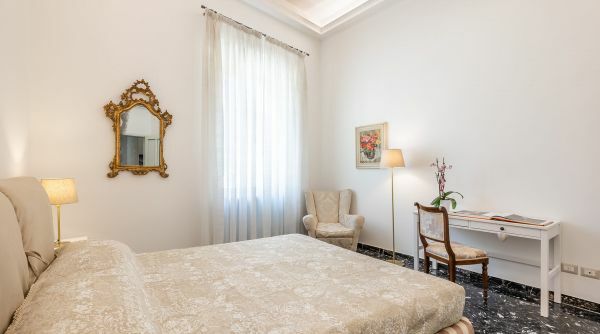 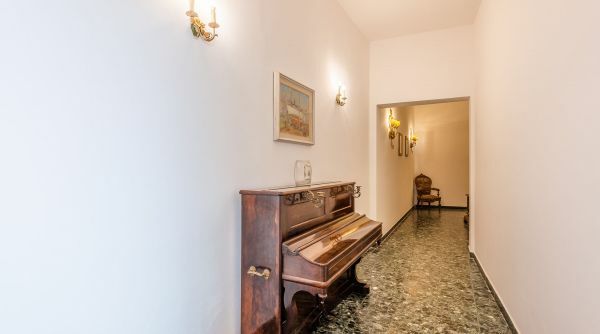 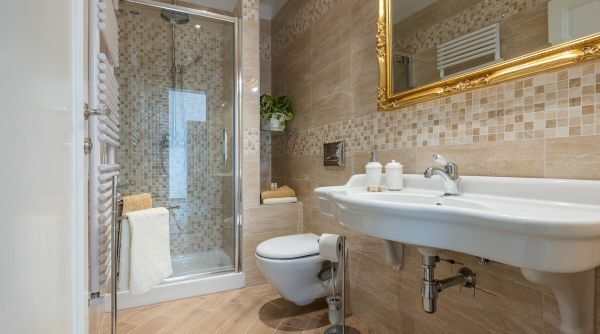 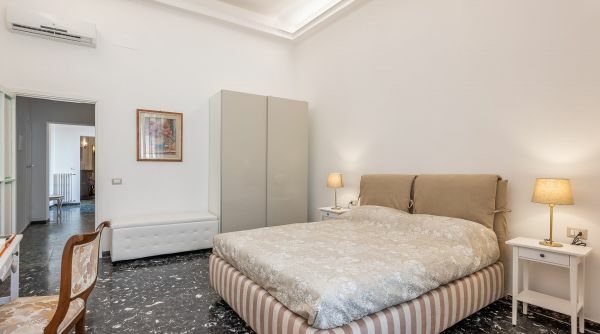 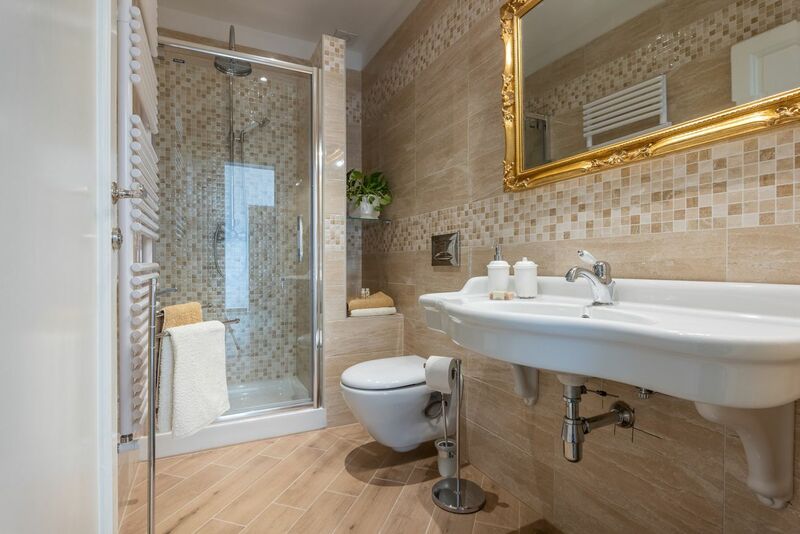 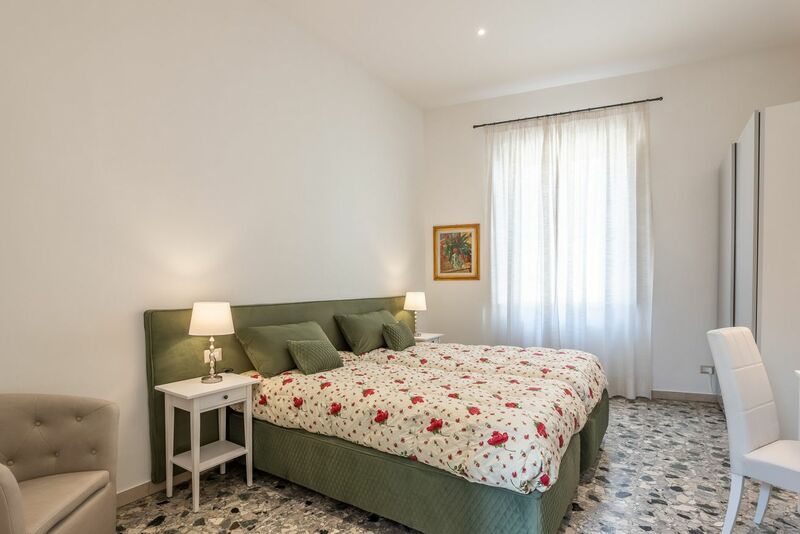 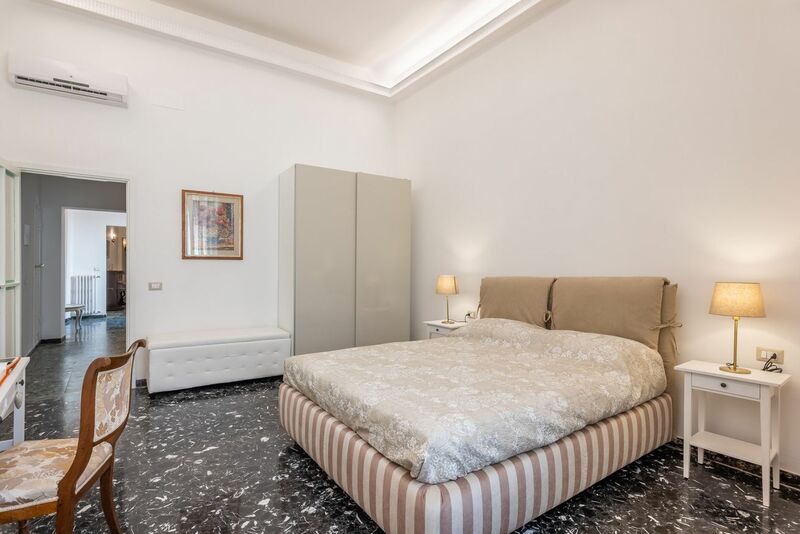 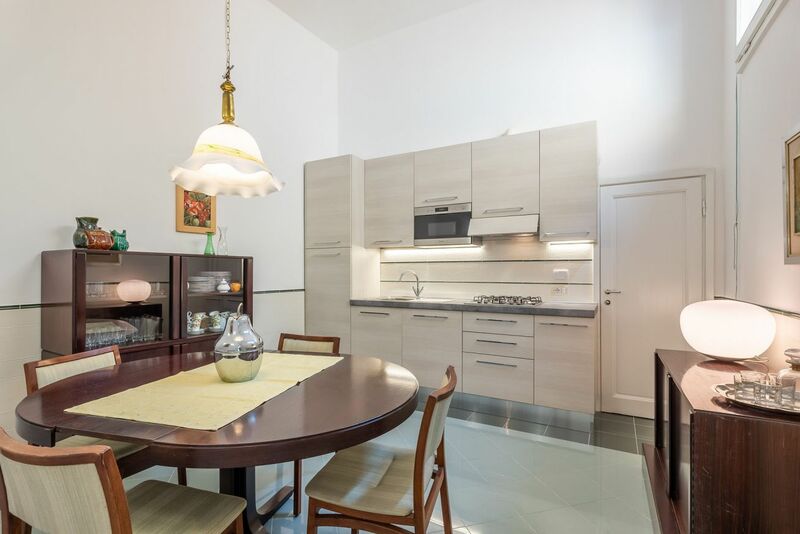 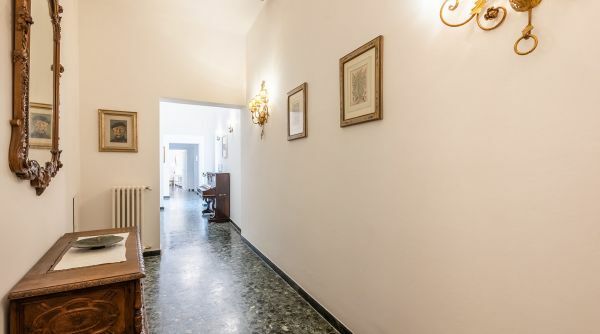 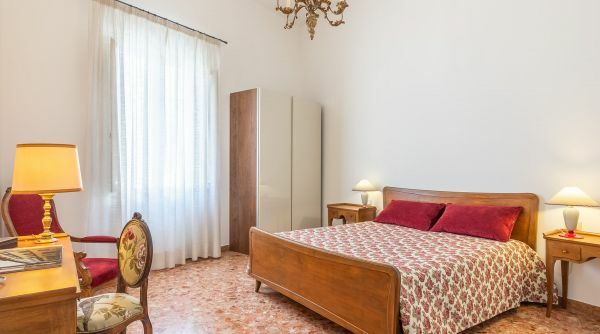 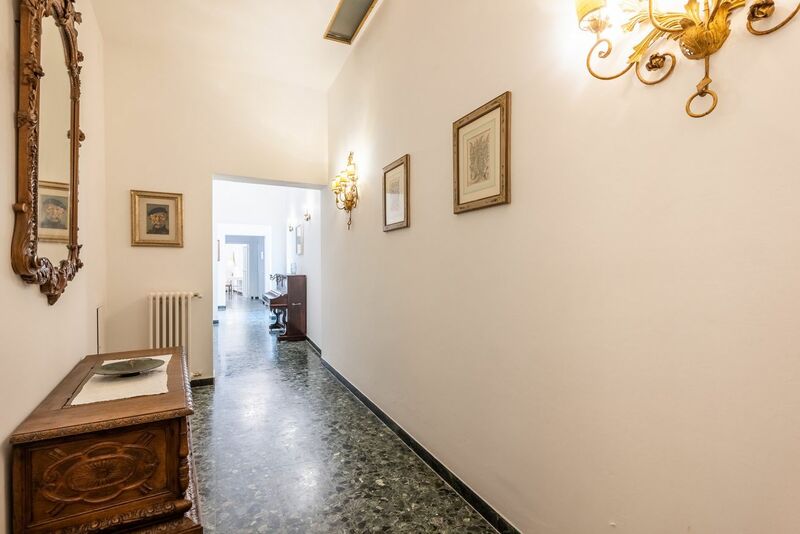 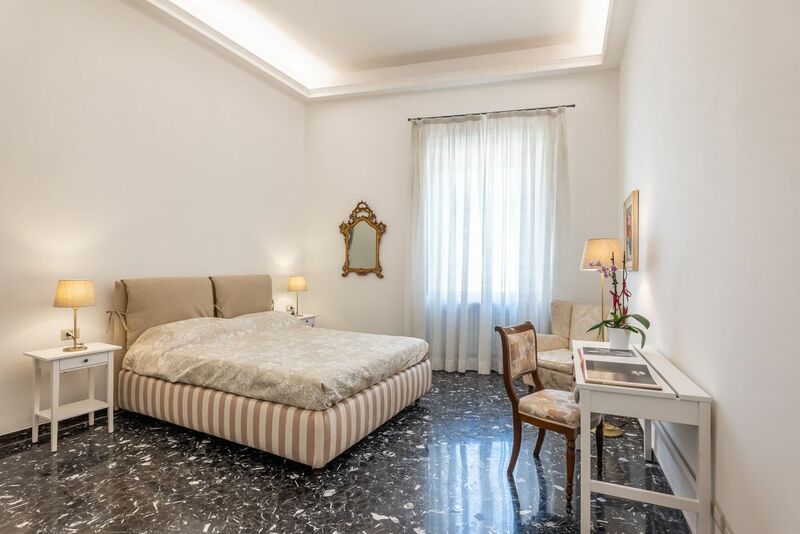 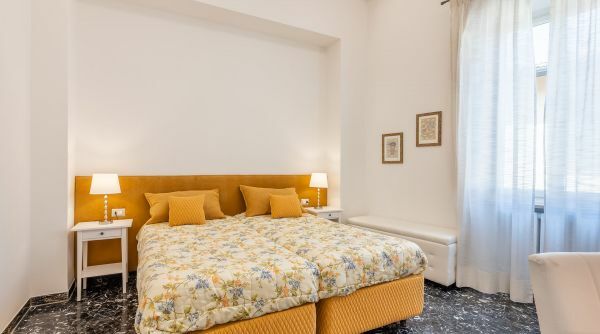 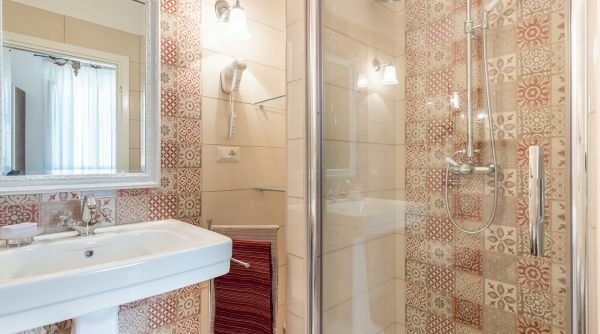 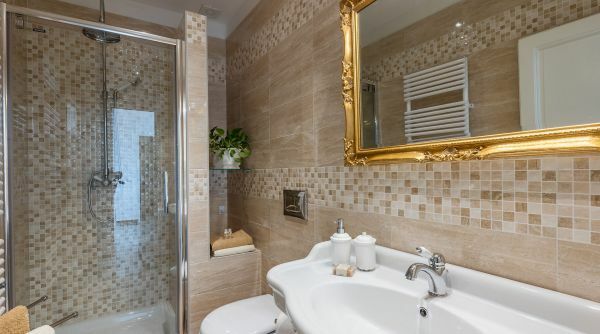 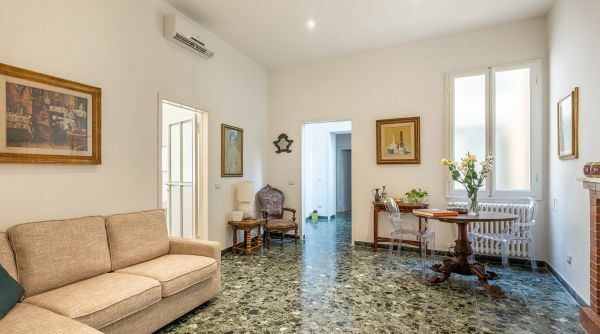 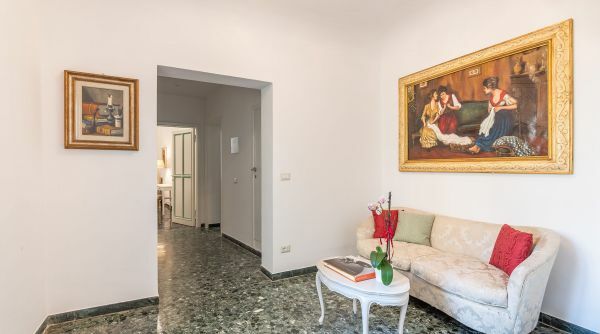 The apartment is very close to some of the most important monuments as Palazzo Pitti and Ponte Vecchio; all the monuments and museums of Florence can be reached on foot in 10 or 15 minutes. 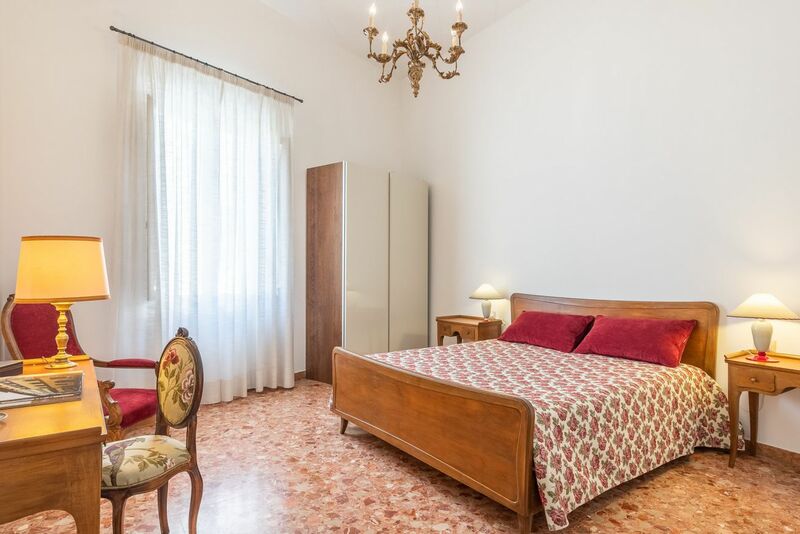 From the main train station of Firenze, Santa Maria Novella, you can get a bus to get close the apartment, lines D and 11 by ATAF.